To say that raising Fiona has been a challenge may qualify as the understatement of the year. 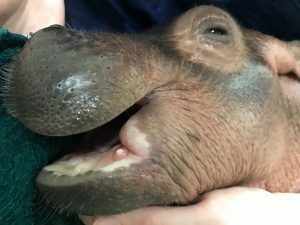 We knew full well that hand-raising a premature hippo baby would be a difficult undertaking, but the actual experience is even more of a rollercoaster than we could imagine. In just the 1 month that she has been with us, every member of our team has been tested professionally and emotionally, but Fiona, thankfully, is still alive. cool herself down if her temperature got above 100°F. So we aimed for a body temperature somewhere in the range of 97°-100°F which is typical for most large mammals. Fortunately for us, one of the innermost rooms of the hippo building is situated just above the boiler and was capable of maintaining air temperatures of up to 90°F, plus had the added benefit of being close enough to mom and dad (“Bibi” and “Henry”) that Fiona would still be able to hear and smell them around the clock. The newly chosen hippo “nursery” is at times sweltering for the care staff, but serves as a perfect incubator for our little “undercooked” hippo until she is stable enough to be moved to more permanent housing right next to mom and dad. 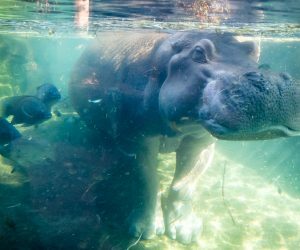 In the wild, hippos spend up to 16 hours a day in the water, but Fiona is not yet strong enough to be kept in a pool for extended periods of time and the amount of daily medical care she requires also makes the pool an impractical choice. 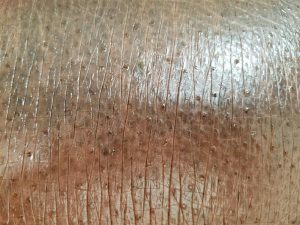 Since Fiona is spending significantly less time in the water, maintaining her skin’s moisture in her warm nursery presents another challenge. The solution: our care team applies a diluted baby lotion all over her body every hour just to keep her skin from drying out and cracking. 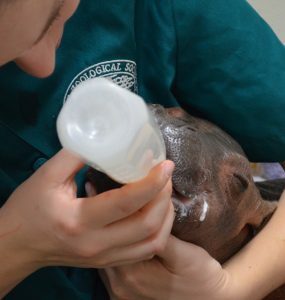 Though it is a relatively constant concern, this is easily one of the more enjoyable tasks for the care team and also provides for a unique bonding experience between the baby hippo and her many caretakers. 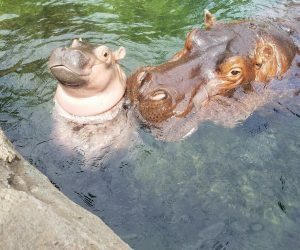 Though we love to provide Fiona’s almost hourly lotion massages, we hope the need for them will diminish as her health improves and she begins spending more and more time in the water. The most significant hurdle by far has been feeding our preemie. With the ability to milk Bibi, we did have a leg up in that we had mother’s milk available to us. However Bibi was not producing nearly enough milk to support the growing baby and we had to come up with a synthetic formula quickly. 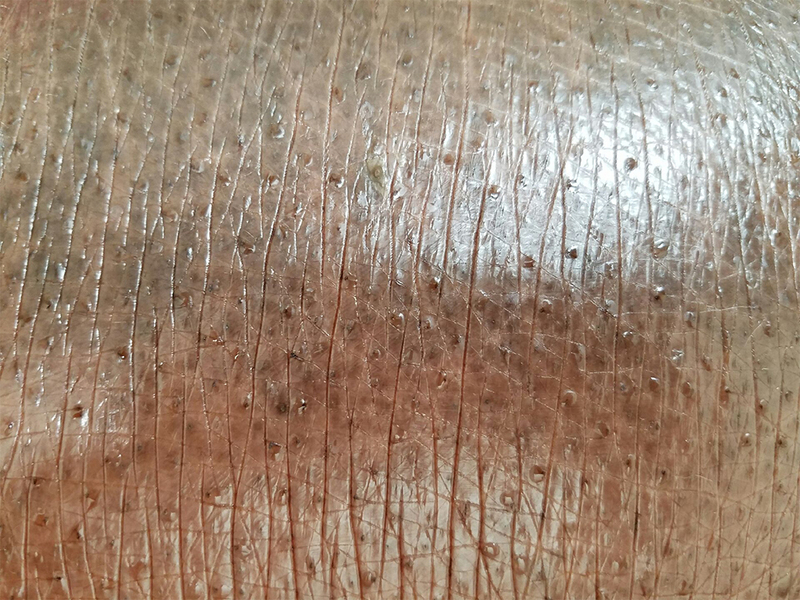 Though there are various specialized pre-made formulas available to the zoo community, a hippopotamus formula does not exist. Fortunately, we were able to send some of Bibi’s milk off to the National Zoo’s milk repository for analysis to determine the exact nutritional components and then we were able to tailor our own formula to match. But even with the right composition, we encountered problems when Fiona’s underdeveloped digestive tract seemed unable to process the very rich formula. Vet staff and our zoo’s nutritionist worked together, tweaking and adjusting the formula at each feeding, trying to find the perfect balance that would allow for sound digestion but also meet Fiona’s caloric needs. Though we’ve made significant progress with this obstacle, it continues to be a recurring challenge as Fiona’s health changes from day to day. Aside from developing the perfect formula, the method of delivery was yet another hardship. Initially, Fiona was not even strong enough to nurse. All of her nutrition had to be delivered directly into her stomach via tube feedings multiple times a day. 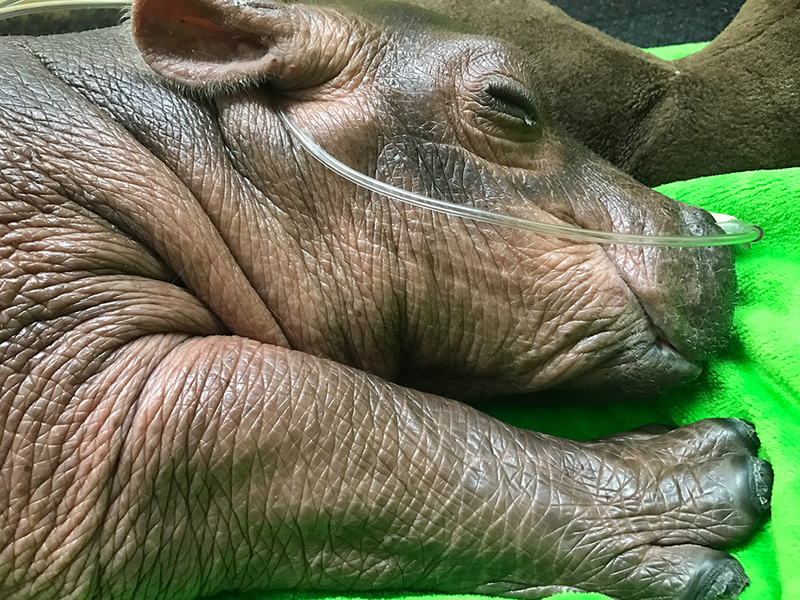 Eventually, Fiona gained some strength and energy, began nursing from a bottle and was finally consuming enough formula on her own that we were able to completely discontinue the tube feedings. Fiona was gaining weight and making forward progress and then the teething started. Fiona began struggling during feed times and was biting and chewing on everything she could fit her mouth around. We could see her tiny tusks erupting from underneath her gums, obviously causing discomfort. Her nursing response began to diminish and all but disappeared within 72 hours in spite of pain medications, teething toys and frequent gum massages. Teething should not have even been an issue at this stage of the game as most hippos do not get their first set of teeth until several months after birth. But Fiona continues to ignore the instruction manual Mother Nature has written and prefers to move on her own timeline. Unfortunately, that meant that we were back to tube feedings around the clock and Fiona’s little body had become dehydrated in the process. She had grown increasingly lethargic and unresponsive and her blood work revealed that her kidneys had been negatively impacted as well. Fiona was headed downhill quickly and we would have to come up with a solution fast if we were going to save her. 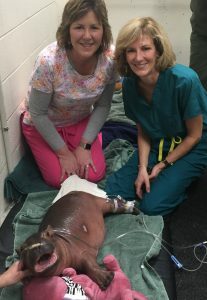 The most effective way to address the dehydration was by placing an IV catheter so that we could deliver life-saving fluids directly into Fiona’s bloodstream. However preemie babies have very tiny and unstable veins, and even though our veterinary team was able to get multiple IVs placed, the vein would soon rupture or blow, rendering the IV useless. With time working against us, we reached out to the Cincinnati Children’s. The nationally renowned Vascular Access Team came to the zoo and expertly helped us to place a life-saving, longer IV catheter called a midline, using ultrasound guidance. The catheter was fitted to a special pump to help regulate and monitor the delivery of fluids. 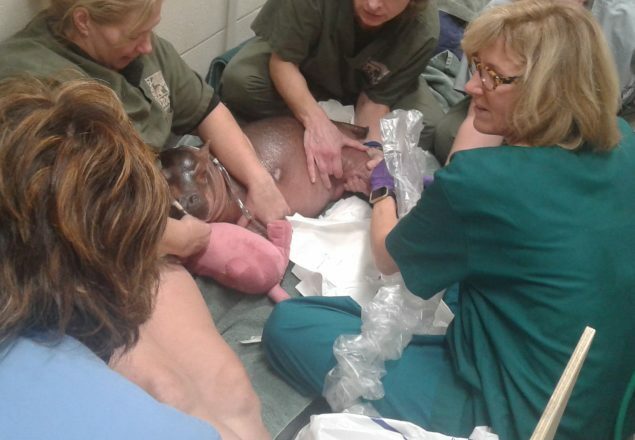 Vet staff stayed with our fragile little hippo around the clock for the next 48 hours to monitor the valuable IV. Drip by drip, Fiona slowly but surely began to show promising signs of recovery and to everyone’s relief, began bottle feeding again! As of this blog post, Fiona is slowly inching her way back to health and the care team is recovering emotionally from this most recent scare. With every obstacle overcome, it seems another has revealed itself to further test the limits of our abilities. But regardless of the challenges that may arise, we will continue to do everything in our power to give Fiona the best chance possible for as long as it takes. Many of Fiona’s loving fan base have asked when our little lady will be out of the woods, but the answer to that question is both complex and varying. For now, we take it day by day and hope for more good days than bad. We will continue to update everyone on her progress moving forward and we thank you all so very much for the astronomical love and support you’ve shown us so far. #TeamFiona! Anana the Polar Bear Wants You to Get Hygge with It! As a breeder I know the struggle and the heartache well. It does not matter if dogs or hippos. Best wishes to Fiona and staff. Praying she gets past these hurdles and has a long, healthy life. it,s very fine, what you all do for Fiona. I look every day the News from Fiona and hope, that this find a happy end, for Fiona and your great work. I love seeing the posts. 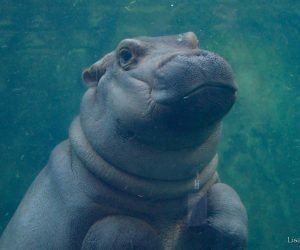 Fiona has been in my thoughts and prayers since I heard of her birth and the struggles of a preme hippo. I continue to pray for Fiona and all the care takers. I hope this amazing hippo stuns is all with her life. Hello from Scotland – I am so impressed with you all. Love and dedication just isn’t enough. Every day I look for an update on Fiona. She is a little darling, quite photogenic. Fiona is lovely and you are all doing an amazing job. Keep up the great work…. I just want to thank you all for your time, care and dedication in taking care of Fiona. Thank you also to the Children’s Hospital vascular team! I have followed and prayed for this baby girl since the day she was born. I know that if anyone can save her, you all can. I will keep praying until this little girl is healthy. Thank you all again! Thank you for the in-depth info on Fiona and everything you’re doing for her. She’s a lucky girl to have been born at The Cincinnati Zoo. Looking forward to seeing her outside I hope this summer! I have been praying for her and all who care for her. Thank you to the Fiona team for everything you are doing for her. 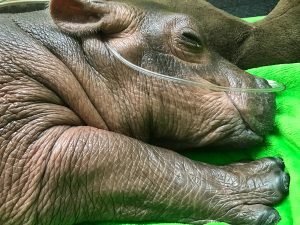 I didn’t realize just by reading updates all the work that it is taking to save her life…Team Fiona is outstanding and thank you for all you are doing for her. With love and positive thoughts from a hippo-fanatic in London, UK! The dedication, love, and sheer humanity is breathtaking! 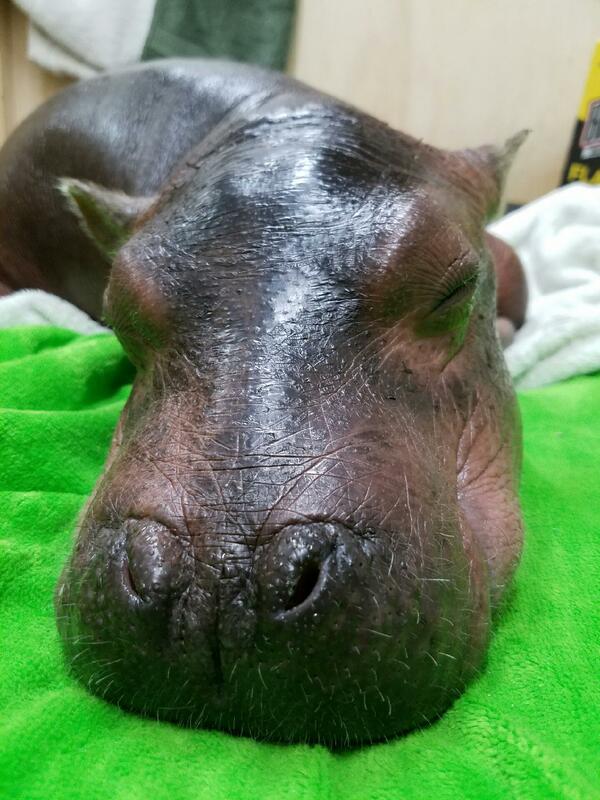 Thanks to all involved in Fiona’s care! I look forward to meeting you and Fiona at our wonderful Cincinnati zoo. Love this little hippo, so much that she’s my laptop wallpaper! Her expressions are so adorable and funny. Thank y’all so much for sharing her story while y’all are taking care of her. If I don’t see something on we are not every couple days I get very concerned period I have watch this little baby every step of the way. I think she should get her own Facebook page. So cool that Cincinnati Children’s was able to help! What a great experience for both Team Fiona and them! God bless your dedicated staff for the care you are giving to fiona. She’s an absolute doll. Praying for you all and Fiona. Thank you. You all are special. I am so happy when you have posted an update on Fiona. I know you love her very much. She brings so much happiness to me. Each picture makes me smile. I am coming to see you this summer so stay strong. You are blessed to have been born at such a fantastic zoo with such incredibly dedicated and loving staff. Godspeed to all of you. You are in my prayers.